It has been a long day. I slept in…well, actually, I didn’t but the clock said I did. Yes…we have “sprung forward” by an hour in honour of daylight savings. So 4:00 a.m. becomes 5:00 a.m. I play catch up all day. I am busy painting (not canvases but rather the dark hole known as the ‘basement’) and I want to paint as long as possible and preparing dinner is not high on my list of things to do. However, one must eat. As mentioned in previous posts, I am long on potatoes so why not make something quick and easy using potatoes and other simple ingredients on hand. The fridge reveals one small fennel bulb with lots of nice fronds, a large jar of capers with about 3 tablespoons of capers left, parsley and a jar of tarragon mustard. Hmmm. More rummaging reveals I have stocked piled cans of tuna in olive oil – don’t even think about buying tuna in water or vegetable broth as they are in one word – boring. These ingredients scream out for a nice, big warm potato salad. There is no need to fear capers of any sort. Capers (Capparis spinosa) and capers (a frivolous escapade) are two of my favourite things. When I was a child, I would come home from school after some crazy caper and eat Capparis Spinosa right out of the jar, standing in front of the fridge. 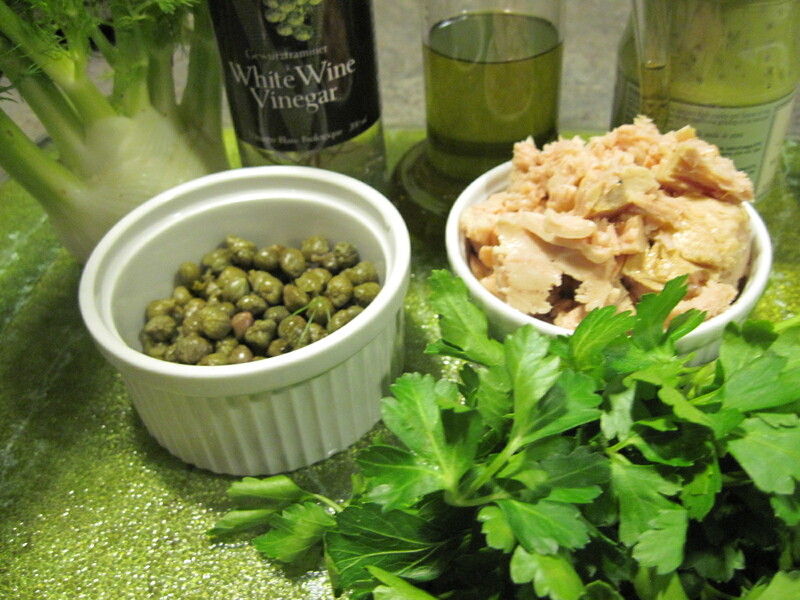 Capers are the unopened flower of the caper bush. 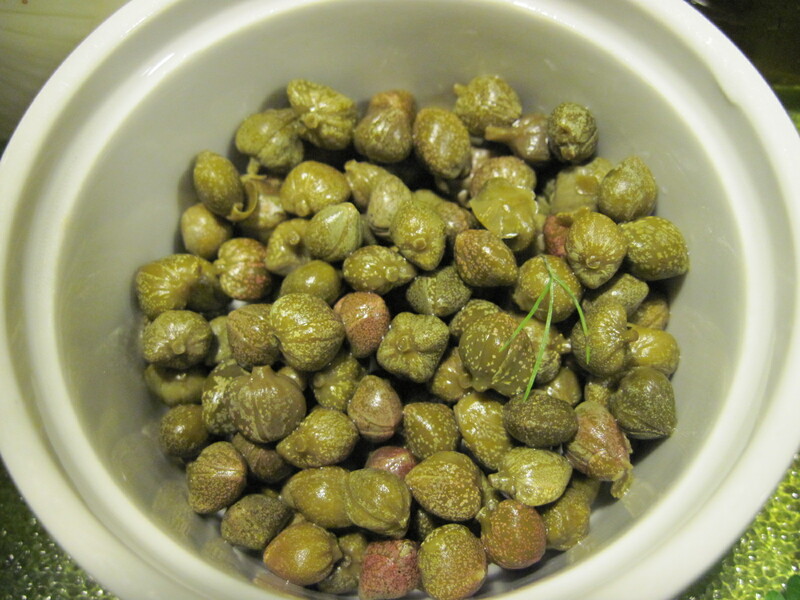 Caper bushes grow all over the Mediterranean and are found in many Sicilian and southern Italian dishes. They are categorized by size and the smallest (nonpareil) are the most desirable. They are sold dried, salted and pickled. Here at the Farm we make false capers from unripened nasturtium seeds which when pickled in salted vinegar taste surprisingly like capers. You need not go to all that trouble. Buy yourself a nice big jar of capers and use them with enthusiasm and abundance. The following simple recipe uses two ingredients – fennel and tarragon mustard – which have flavours reminiscent of anise. I think they work well together. 1. Cook unpeeled potatoes in boiling, salted water until tender. Drain. Peel and cube into serving bowl. 2. Slice fennel bulb into quarters, remove core and slice across the quarter. Remove feathery fronds and break into bite size pieces. 3. 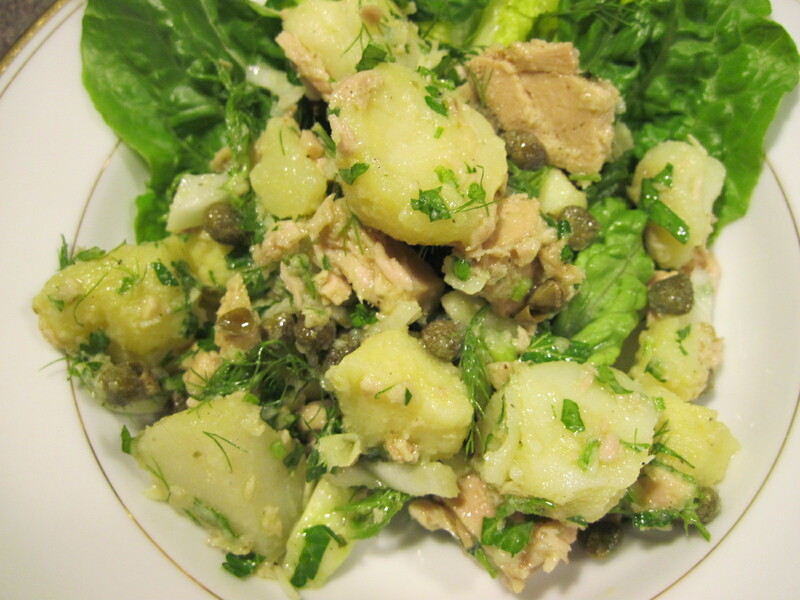 Add fennel, fennel fronds, chopped parsley, capers and tuna to potatoes. 4. Whisk white wine vinegar, olive oil, mustard, salt and pepper in a small bowl until emulsified. 5. Pour over potato mixture and toss well. 6. 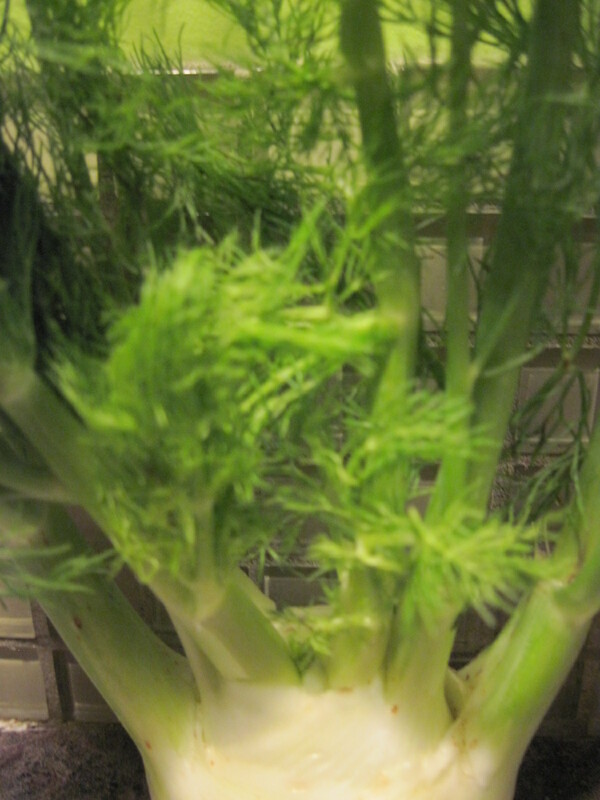 Serve at room temperature on top of endive or romaine for a main dish salad. You need never wonder what to make for dinner or lunch again. It couldn’t be easier than this – a few simple ingredients and c’est voila.